Curious what a typical day on safari might be like? 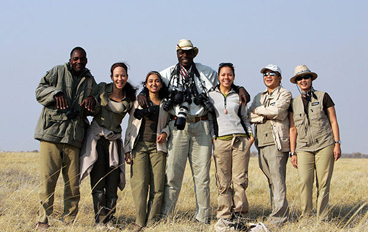 A2A Safaris specialises in making each and every one of our guests' trips completely tailor-made to his or her needs. However, there are a number of activities that are consistent across most safaris, and knowing what a typical day is like should give you a sense of what to expect during your safari. On safari, camp managers and your guide(s) will assist you to plan each day, telling you about the area and the various options on offer – whether you would prefer to be walking, game viewing, enjoying some quiet bird watching, going for ‘sundowners’, or just spending some time relaxing on your verandah, taking in the stunning African views. You are woken up to the beat of African drums and a friendly wake-up call. After coffee or tea and a quick bite to eat, head out into the bush as the sun rises for the morning's activity: a game drive, walk, canoe ride or boat safari. Led by an experienced guide, you will be out in the bush for several hours searching for wildlife and learning about animal behaviour and the environment around you. At some point during the drive there will be a refreshment stop and a chance for everyone to stretch their legs for a while. This will normally be at a particularly scenic spot, for example, by a waterhole, lake or river, or on top of a hill with a great view of the surrounding landscape. As wildlife activity tends to slow down in the middle of the day, especially during the hotter months, you will return to camp around mid-morning to enjoy a hearty brunch. This is a great time to read, update your travel journal and organise your photos, take a nap or view wildlife from a nearby hide. You may also go on relaxed bush walks with an armed ranger during your siesta period. After a well deserved rest, afternoon tea will be served in camp before you venture back into the bush with your guide. As the sun sinks lower in the sky and conditions begin to cool, you spend the rest of the afternoon exploring the area further and continuing to tick off wildlife on your mammal and bird lists. As the sun begins to set, your guide will choose a stunning location at which to stop for sundowners – a wonderful safari tradition – cocktails of your choice as you enjoy an incredible African sunset from your vantage point, while reminiscing about your wonderful safari experience and with your guide and fellow guests. 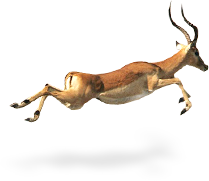 Following your sundowners, you continue with your game drive with the aid of a spotlight, as darkness falls and the creatures of the night begin to emerge from their resting places. This is also a great time to look for big cats as they go out on the prowl, taking advantage of their excellent night vision to hunt of unsuspecting prey. You return to camp where a hot refreshing shower awaits, before enjoying a well-earned drink at the bar. This is followed by a sumptuous dinner, which may sometimes be served in a surprise location under the stars. For those not ready to retire for the night, after-dinner drinks are served around the campfire and a chance to better get to know your fellow guests as you swap safari stories.